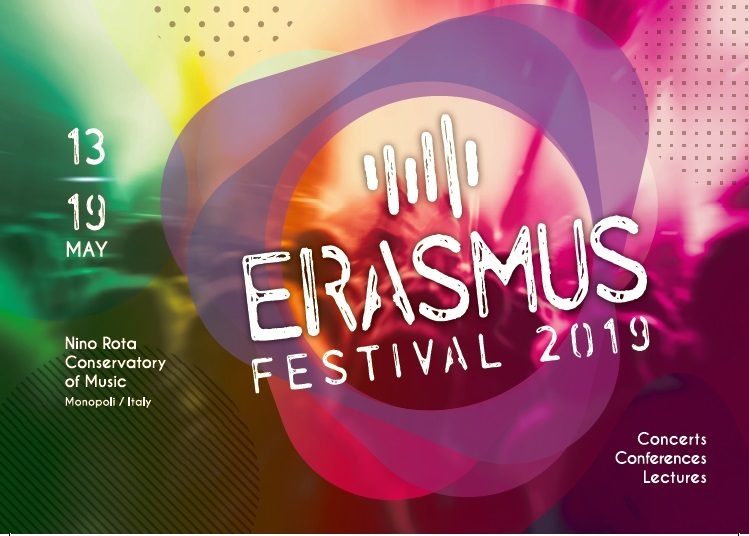 The International Music Meeting 2019 (ERASMUS FESTIVAL) at the Conservatorio di Musica Nino Rota, Monopoli, Italy will take place on May 13 to May 19, 2019. This meeting will provide opportunities for networking and sharing knowledge on specific repertoires and teaching methods through concerts, lectures, laboratories of classical and contemporary music, and guided tours to discover Italy's arts heritage. You can apply as teacher, performer (solo or ensemble), or you can simply come and enjoy the events sharing the experience with the active participants. Please submit your application or proposal to the e-mail address below, no later than March 30, 2019.